My posts last week were about how best to engage those on the front lines in philanthropy’s work. Of course, your strategy for engagement must be informed by what you’re trying to accomplish and how your organization perceives its role. However, there are some universal actions that philanthropy can undertake that would benefit grantees regardless of individual foundation goals and strategies. I’ll leave you with this short list of actions that may help you more clearly see the world—and your own decisions—through the eyes of those you intend to serve. Solicit anonymous grantee feedback. For any funder that hasn’t yet solicited feedback from grantees, this is the place to start and you won’t be disappointed. The feedback will be illuminating and will spur important clarifying conversations. The Center for Effective Philanthropy’s Grantee Perception Report has enabled hundreds of foundations to get a better view of themselves through comparative feedback. Armed with this view, grantmakers are in a better position to make smarter decisions. Start with what your community needs rather than what you are equipped to provide. Try to work backwards by developing a stronger sense of what people want and need. For instance, the next time your foundation is considering something new, start from an initial framing of the problem you hope to address, but leave your actions and the format of your response open to shaping by input from those closest to the issue. This can be applied to a new online grants application process as well as to the structuring of a new grants portfolio. Hire your grantees. GEO’s 2008 national study of foundation effectiveness, Is Grantmaking Getting Smarter?, found that grantmakers with staff members who have nonprofit experience are far more likely to engage in a host of “grantee – friendly” practices. Intentionally hiring folks with nonprofit experience will help you create an organization where employees at all levels have a deep connection to people outside your walls – especially those who receive your funding and ultimately benefit from your efforts. That connection will help you make hundreds of better decisions every day. Go into the community. Bill Somerville in his book Grassroots Philanthropy: Notes of a Maverick Grantmaker extols the importance of understanding what’s happening on the ground and in the community in order to be an effective grantmaker. He talks about hanging out at a community center or soup kitchen and talking to some of those receiving the service as an irreplaceable part of intelligence gathering when considering who and what to fund. Update your nonprofit experience set. Many in philanthropy got their start in the nonprofit sector, but it may have been years, even decades, since they’ve worked on the front lines. Grantmakers might consider creating periodic opportunities for staff members to work a three- to six-month stint inside a nonprofit of the size and scope typical of their grantees. Experiences like these provide grantmakers with a front row seat to understand the realities of grantees’ work and give them a variety of insights and firsthand experiences they need to do a better job as grantmakers. Go all the way. The highest level of stakeholder engagement involves creating a sense of shared ownership with grantees and communities. By including stakeholders in shaping foundation strategy and grant decisions, you’re giving up some of the power while at the same time exhibiting incredible trust in those most closely connected to the work. In the end, none of the problems we hope to address in philanthropy will be solved by independent actors. Attentiveness to philanthropy’s role as one actor in a collaborative problem-solving process will likely lead to shifts in some practices that serve as barriers to doing work in partnership with others. My question for you is, what’s holding philanthropy back from more regularly putting what we hope to accomplish at the center of our decision making rather than the particulars of our individual organizations? 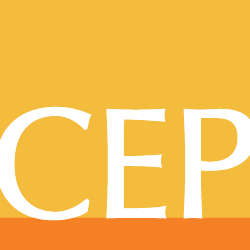 GEO and CEP are both shining the spotlight on ways to meaningfully engage important stakeholders in philanthropy’s decision making. Please stay tuned for a soon-to-be-published GEO report on strategies for engaging stakeholders in order to get results that really matter for the people and communities we serve. I’d like to extend my thanks to Phil Buchanan and the top-notch team at CEP for inviting me to participate in this dialogue. Feel free to respond to this post or to contact me directly at enright@geofunders.org.